From the Archives – NCFC Patch! 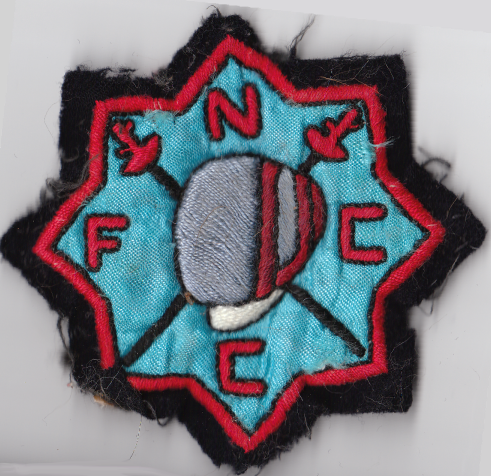 Something uncovered recently in the club files — one of the old North County Fencing Club patches! For the curious or uninformed, it’s significant because the current incarnation of the St. Louis Fencers Club came about when the NCFC and SLFC merged circa 1990. More to come as the archives are dug into! This entry was posted on April 3, 2011 at 11:04 pm and is filed under Cool, History. You can follow any responses to this entry through the RSS 2.0 feed. You can leave a response, or trackback from your own site.